Nevile, Master of Trinity from 1593 to 1615, oversaw much building at Trinity, including Nevile's Court, the most beautiful of the courts in the college. 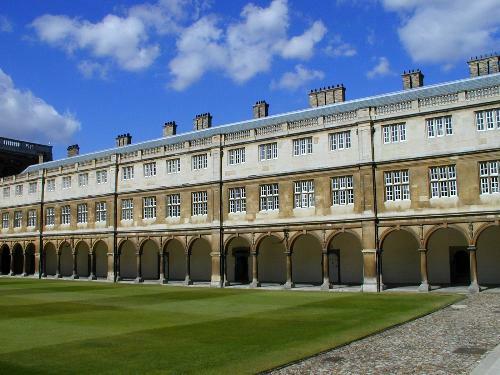 He paid for much of this building out of his own (considerable) wealth, although the entire range was not completed until long after he died, when Wren Library (at the far left in the photo) was being built, in 1682. In the 1750s James Essex modified the appearance, in particular of the top storey.